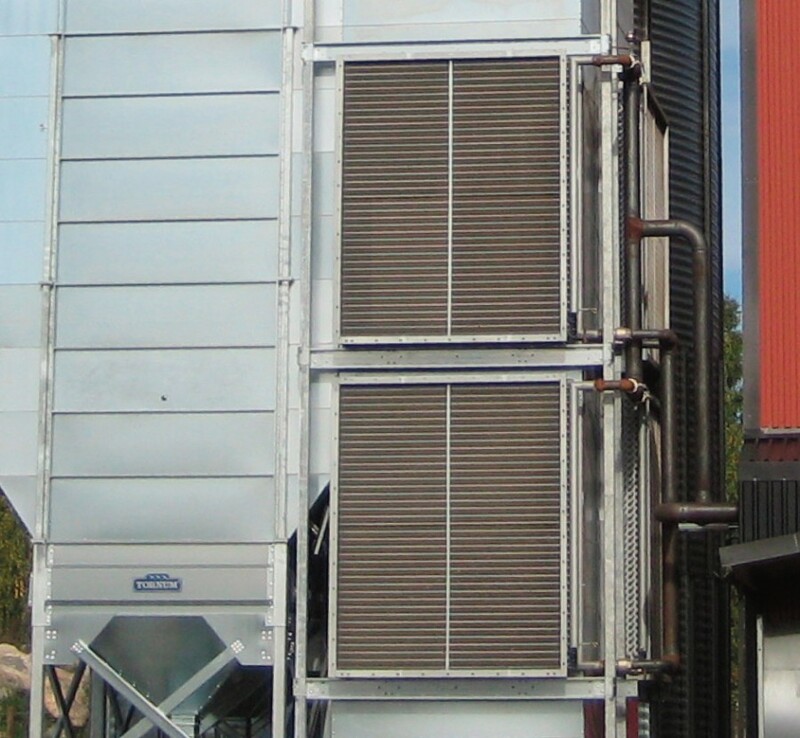 Heat Exchangers are an alternative to hot air furnaces and are especially adapted to Tornum’s modular dryer system. 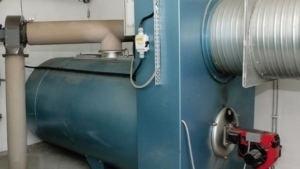 Heat exchange for hot water and steam can be offered and suitable energy sources are straw, wood chips, pellets or oil. 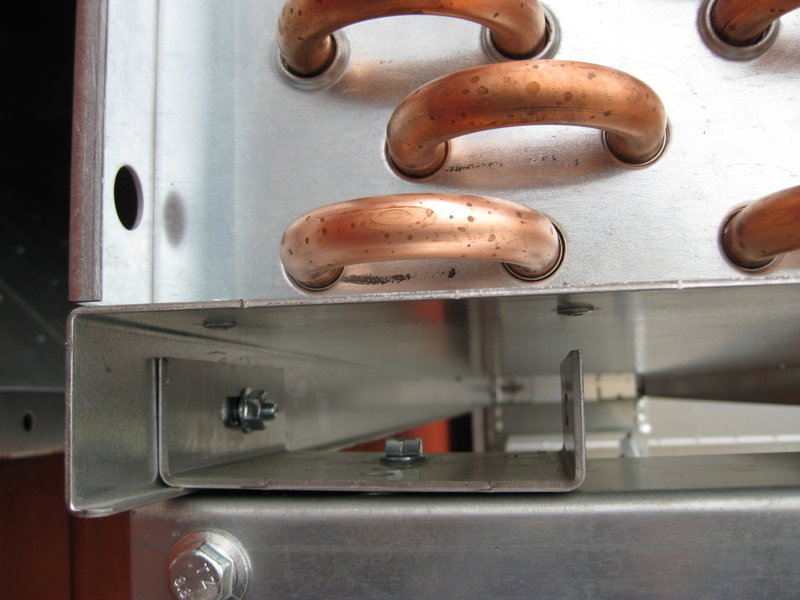 The flexible design means that we can customize the dimensions and air volume of the coil to suit your specific needs. 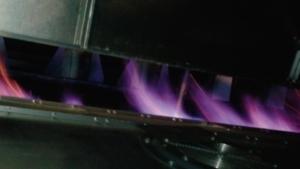 By preheating the air before it is released into the furnace , the total oil consumption is reduced. 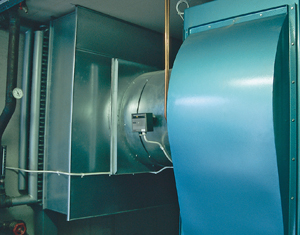 TORNUM’s preheating coil can be connected to a hot air furnace. 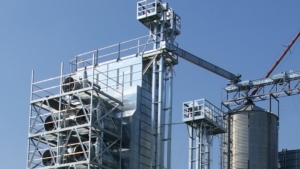 • Finned heat exchangers with copper tubing and mechanically fixed expanding aluminium fins. 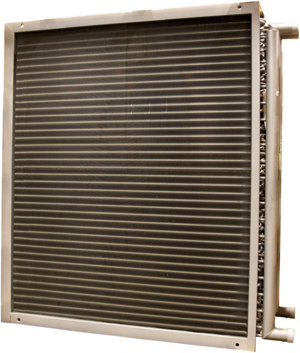 • The coils operate according to the counterflow principle, which results in very high efficiency. 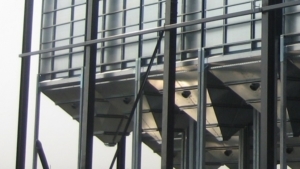 • Heavy duty mounting frame designed for Tornum’s modular system provides easy installation and protected placement. • The headers have plugged outlets for venting and drainage. The coil connections on the liquid side have external threads. * LV A are valid for 80°C incoming and 65°C outlet water. LV B are valid for 90°C incoming and 70 ° C outlet water. Additional capacity variants are available on request. Coils for steam and other media can be offered. When using water as heat carrier, always consider the risk of freezing. Stated kW is valid for incoming water temperature 80°C and output water temperature 60°C.